Composite Creations provides a full line of composite part fabrication and manufacturing services commonly used by the general aviation industry. Processes: Out-of-Autoclave thermoset prepreg, vacuum infusion and ancillary wet layup. Production is currently done on small to medium volume basis with molds cycled from storage. 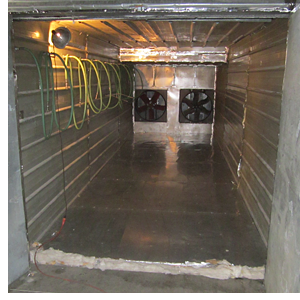 With adequate space for mold storage, Composite Creations can accommodate small volume production. The management of Composite Creations routinely produced prototypes under very tight timelines while at Lancair. Composite Creations can assist you to get a prototype done as quickly as possible by working with you to acquire the prototype tooling and getting a highly experienced team willing to work with you to meet your schedule. Some molds are difficult to use due to size and small room in which to work. In addition parts may have very difficult layups of many layers of intricately cut plys, core and glue sheet. In other cases the chosen material, such as knitted fiberglass, comes unraveled with all the most skilled handling touch. Our head composite technician, is well known in the Bend area as the master craftsman that such situations demand. In addition she has trained many of the most skilled technicians during her time at Lancair and with the Columbia/Cessna project. Cutting and tooling room with a parts storage area. Freezer for storage of film adhesives and prepreg cloth and tapes. Vacuum bagging facilities for prepreg and vacuum infusion parts. 24 x 8 x 8 ft curing oven with computer controlled thermostats for very close thermal tolerances. The oven will be expanded to 50’ in Q4 2013. Composite creations will move into a custom built facility in Q4 2013. The facility will provide for low volume batch type processing, expansion and custom dedicated high volume manufacturing.